I thought all of the movies nominated this year were great, but there was one that really stood out to me. I watched this movie this week (it's out on video or digital rental). For the record, I'm a big fan of arthouse, indie films, if that makes a difference. The story is about a young girl, Hushpuppy and her father who live in the bayou south of the levy in Louisiana. If you think you know what it's going to be like based on that synopsis, you don't. It completely took me by surprise. It was beautifully told and acted. (Dwight Henry should have been nominated for acting, and I would love to see the little girl win) Half the time, I just couldn't believe my eyes. Amazing, amazing, amazing. Now I'm going to pick on this movie. I saw this recently as well, and I couldn't help but compare them, which I realize is apples and oranges, but bear with me. Look, they did a fine job of recreating an important era in American history. 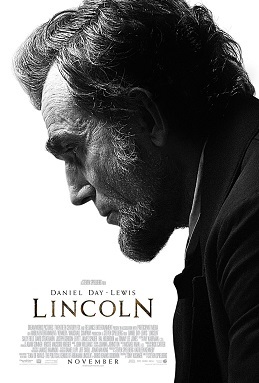 Daniel Day-Lewis did a great job of recreating Abraham Lincoln. Sally Fields was...in it. There were a lot of things that bothered me. The long, cheesy, scripted speeches, the fake southern accents, the overacting, the overabundance of actors and confusing political jargon, the fact that they started the film in the middle of the era making it very confusing to keep up. But to be fair, I'm not a fan of these kinds of movies to begin with. The movies with the big budgets, for big actors and big directors about big wars and big presidents. Honestly, I'm not impressed. Dare I say, it's a bit pretentious. Here's the difference I see between the two. BotSW took the little funds they had and told a small story in a BIG way. Everything they did in this film was original. They stretched the boundaries of filmmaking and created something entirely fresh and unique. Maybe it's just me, but I appreciate that kind of ingenuity. What I'm afraid of is that the Academy is made up of a bunch of boring, old men who still think Spielberg sets the sun up in the sky every morning and they will bow down on their knees for another epic film of his. I'm sorry if I sound too harsh. I do like the stuff that Spielberg has done in the past, and I respect that he is a very talented director, but I'm just saying we need to move forward and make room for something new! As I said, I was originally biased to like the indie film more, so it's no surprise that I liked Beasts of the Southern Wild more. Do you agree? Did you see either of these films and how did you feel about them? Don't forget to come back after noon today and link up your picks and predictions to join the party and be entered to win Fandango cash! I have heard great things about Beasts of the Southern Wild, it's definitely on my list of must-see's. I'm so glad you wrote about this. Im thinking I'm definitely going to have to watch Beasts of the southern wild this weekend before the Oscars! And here's to hoping the little guy comes out on top.